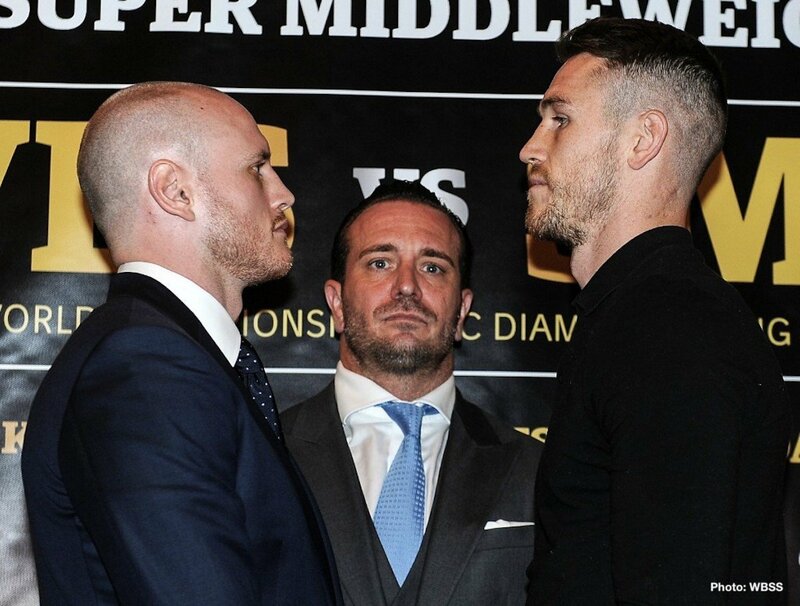 WBA Super World Champion George Groves (28-3, 20 KOs) and Callum Smith (24-0, 17 KOs) met Friday at a press conference in London ahead of their hotly anticipated Ali Trophy Super Middleweight Final on Friday 28 September at the Indoor Sports Hall in Jeddah, Saudi Arabia. “We believe Groves and Smith will create absolute fireworks in Jeddah,” said Comosa’s Chief Boxing Officer, Kalle Sauerland. “I believe that Callum Smith is best challenger on the planet, the number one of challengers in the division, someone who has risen over the years against some strong names,” said Sauerland. George Groves, the 30-year-old from Hammersmith, acknowledges the magnitude of the final. “It’s a big fight for both of us, but it’s a big step up for Callum,” said George Groves. “Is has been a long preparation for the fight. I am fit, I am healthy, I have put in the work,” said tournament number 1 seed. 28-year-old Callum Smith from Liverpool spoke with the same calm confidence at the press conference in London. “I am in a good place, feeling good,” said Smith. The Ali Trophy Super Middleweight Final in Jeddah is the conclusion of Season 1 of the World Boxing Super Series. In the Cruiserweight edition Ukrainian Aleksandr Usyk became the first winner ever of the Muhammad Ali Trophy and the first unified Cruiserweight champion in the four belt era after he impressively outboxed Russian Murat Gassiev July 21. The journey for the final for the two British gladiators began at the Draft Gala in Monaco in July last year where Groves, the number one seed, and second-seeded Smith, picked their opponents. The venue: The Indoor Sports Hall at King Abdullah Sports City. Capacity: 10.000. Time: The final will start at 9.00 pm UK time on Friday September 28.